What do cola, jelly beans, and yogurt all have in common? They all contain sugar. This fuel for the human body is transported by ContiTech conveyor belts, just like raw materials such as coal, iron ore, or wood. The main sources for sugar are generally sugar cane from Latin America or sugar beet from the U.S.A. or Europe. On site, the manufacturers extract the sugar from the plants and then send it on its way. For example, to Antwerp. The Belgian port city, world-famous for its diamonds, has for centuries been one the largest transshipment hubs for this sweet foodstuff. The sugar is initially stored there (in the same way as coal and iron ore) until a customer order is received. However, unlike coal or iron ore, this fuel is subject to strict standards for handling foodstuffs throughout the entire transport process. Systems or devices that come into contact with sugar are therefore manufactured in accordance with relevant standards. These ensure that the sugar remains clean throughout the entire journey from the field to the supermarket. Accordingly, these standards also apply for ContiTech conveyor belts that transport the sugar in the import and export terminal of the international Euroports group in the port of Antwerp. Only recently, Euroports invested €30 million to increase the transshipment capacities and improve the quality of goods turnover. The company is expecting a clear increase in the export quantities of European beet sugar as,in October 2017, the European Union abolished the quotas for production of this in Europe. With a storage capacity of 260,000 tonnes, Euroports already has the largest sugar terminal in Europe. In the course of capacity expansion and optimization, the terminal operator decided at the end of last year to completely replace its conveyor system and to bring it up to the latest technological standards with white food grade conveyor belts from ContiTech. 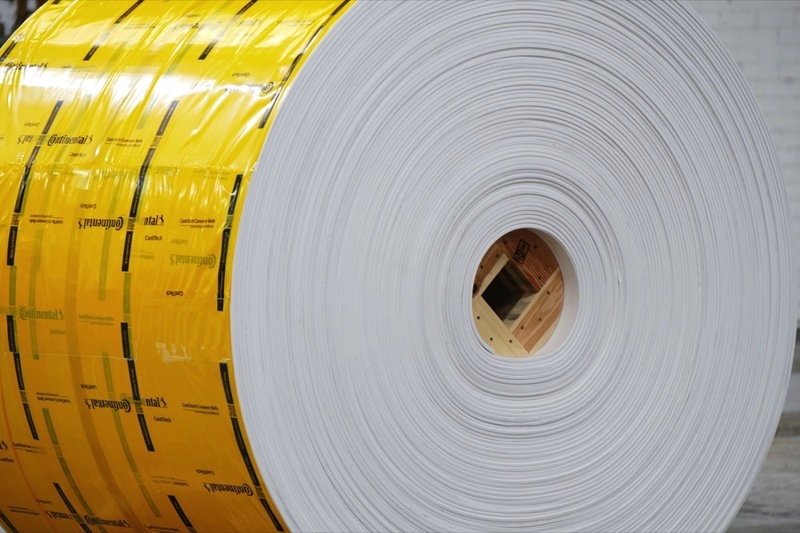 “We originally developed the conveyor belts with white cover plates for the wood and paper industry. Demand for our white belts from the different sectors of the food handling and processing industry has now significantly increased. When Euroports decided to install new conveyor belts for the sugar terminal, one thing quickly became clear: only ContiTech is in a position to comply with the necessary food grade certificates and quality requirements while also meeting the required short delivery times. The first conveyor belts were installed after just six weeks, meaning that we were almost twice as fast as our competitors,” says Stephan Weisgerber, Managing Director of ContiTech in Finland, from where the conveyor belts were delivered. Euroports is certified to the IFS (International Featured Standards). Throughout the world, manufacturers and dealers work with the IFS standards in order to meet the growing requirements due to globalization with quality, transparency, and efficiency. Certification covers eight standards that have been developed for and by participants from all parts of the supply chain. ContiTech also had to comply with these strict standards as a result. For the foodstuffs industry, the requirements regarding hygiene are particularly high. This starts with the manufacture of the conveyor belts. Prior to production, employees in Tampere, Finland, clean all the machines and wear special work clothing during production that supports the high requirements for cleanliness of the end product. Blue conveyor belts also form part of the range here. They are used in the wood industry, e.g. in saw mills. Thanks to their coloration, they do not leave any color-related impurities on the end product. “Our blue conveyor belts are popular with customers who need to scan the goods on the belt, e.g. to sort the product or to automatically detect deviations in quality or size. Thanks to the color of the belt, the products are particularly conspicuous against the background,” adds Weisgerber. Almost all conveyor belts for food processing have been developed in such a way that they are highly resistant to animal fats and plant and mineral oils, as well as to numerous chemicals. And in return, ContiTech ensures that the components of the rubber compound are not transferred onto the foodstuffs that are transported by the belts. Depending on the rubber quality, the conveyor belts are anti-static, heat-resistant, or oil-resistant. Which properties are required depends on the material being conveyed and the environment in which the belts are used. 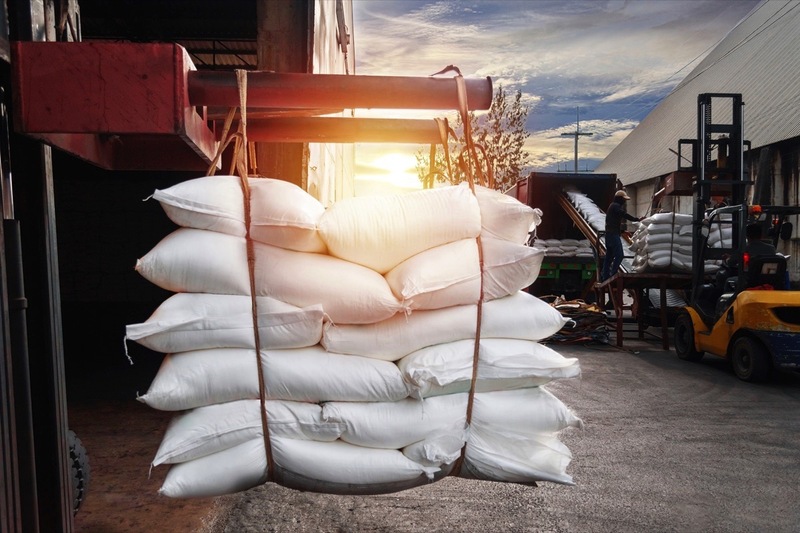 Almost all organic materials such as flour and sugar can cause devastating dust explosions. The conveyor belts that transport sugar in Antwerp are therefore fire-retardant and anti-static in order to prevent possible risk of explosion or fire. In this way, ContiTech makes an extremely important contribution to safety.